If you have been injured in the workplace, it is essential that you tell your supervisor or boss as soon as possible. You should make sure that you only seek medical treatment from doctors approved under your employer’s insurance plan. It is essential that your employer reports your accident to their insurance company as soon as you report it to them. If they refuse to report the injuries to their insurance company, you have a few options. You can either go to the insurance carrier yourself and inform them of your accident or you can file a claim with the New Jersey Division of Workers’ Compensation. Workers’ Compensation is a very complex topic. It is important that you have an experienced attorney who can provide you with assistance throughout the course of the case. 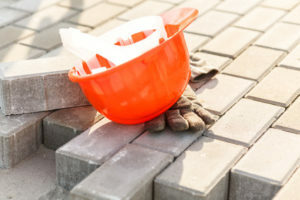 One important thing to be aware of is that you must make sure you file a workers’ compensation claim within 2 years from the date in which you were injured. The insurance company will determine whether they believe it would be appropriate for you to receive workers’ compensation benefits for your injury. If your Workers’ Compensation claim is denied, you will be permitted to file an appeal, if necessary. In order to become eligible to receive workers’ compensation benefits, you will need to be out of work for seven work days. Please note that they don’t need to be consecutive days. If you have any questions, contact an experienced workers’ compensation attorney today.